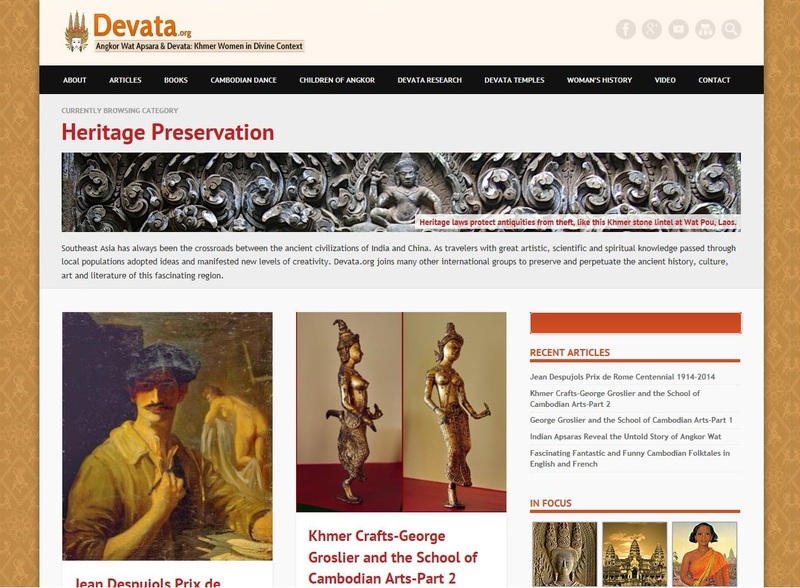 Angkor Wat Apsara and Devata : Khmer women in divine context is a rich and well researched online resource dedicated to the women of the Khmer Empire (9th-15th century). Being great builders, the Khmer filled the landscape with monumental temples, huge reservoirs and canals, and laid an extensive network of roads with bridges. Angkor Wat is the best known and most stunning temple. It is, in fact, a microcosm of the Hindu universe. Covering 200 hectares it is the world’s largest religious complex. Its construction was started by the Khmer king Suryavarman II around 1122 CE and took some 30 years to complete. The walls of Angkor Wat house a royal portrait gallery with 1,795 women realistically rendered in stone. Although the temple complex has been researched extensively in terms of architecture, art and archaeology, not much is known about these women. ∙ Who were the women of Angkor Wat? ∙ Why are images of women immortalized with the most prominent placement in the largest temples the Khmer civilization ever built? ∙ What did these women mean to the Khmer rulers, priests and people? ∙ How does the Cambodian dance tradition relate to the women of Angkor Wat? ∙ Do the women of Angkor Wat embody information important to us in modern times? This online resource gives access to articles about books and authors relating to Khmer history, Cambodian dance, children of Angkor, women’s history and heritage preservation. The focus, however, is on the women of Angkor Wat and other Khmer temples. Features like an Angkor Wat Devata Inventory, the Devata Database Project, Facial Pattern Recognition of the Angkor Wat portraits, photo galleries and a range of research articles provide insight into the rich culture of the Khmer people.